Reminiscent of a 50’s Ice Cream Shop, the Dairy Delite serves Soft Service Ice Cream Malts, Shakes, and Frozen Treats. 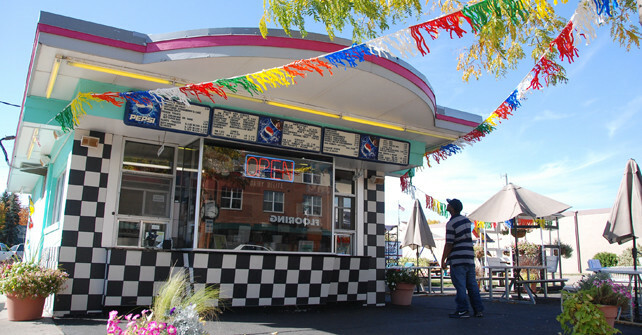 Dairy Delight also specializes in Tasty Hamburgers & Cheeseburgers, Hot Dogs & Chili Dogs, Chicken Sandwiches and Chicken Fingers, and of course French Fries and Onion Rings. Check out their Weekly Lunch Specials.